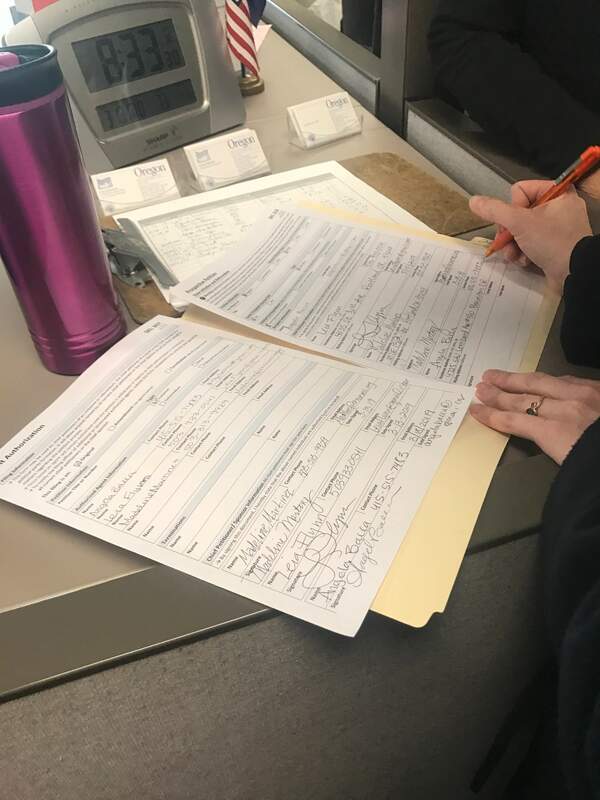 Chief Petitioners Madeline Martinez, Leia Flynn, and Angela Bacca filed a ballot measure to be known as “The Legalization Justice Act of 2020” at the Oregon State Capitol on Monday, March 18. All three women are longtime West Coast cannabis advocates. 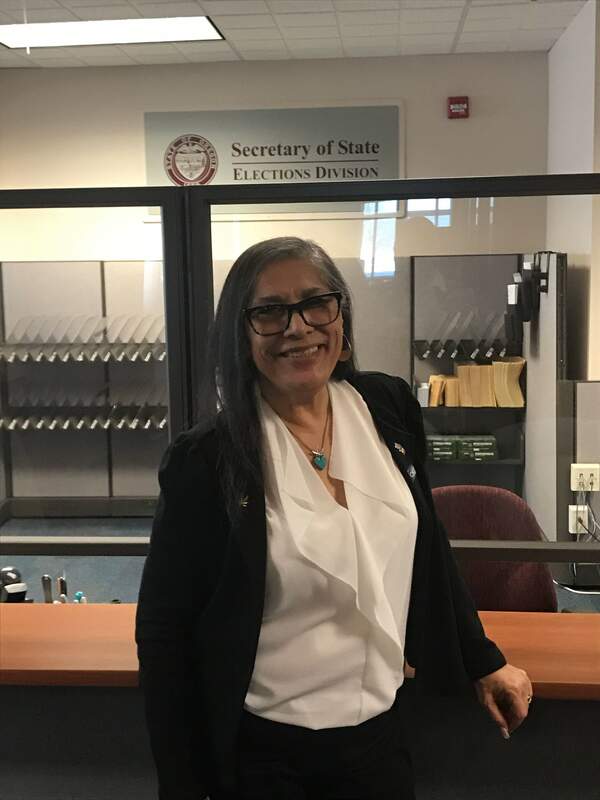 Madeline Martinez is the executive director of Oregon NORML and the only Latina member of the board of directors of the National Organization for the Reform of Marijuana Laws (NORML). She generated international headlines when she opened the World Famous Cannabis Cafe in 2009, the nation’s first public-facing cannabis consumption lounge. “This is about equal rights because whenever you pick a certain group and treat them differently that is discrimination. Patients, renters, the poor, people of color and women are still marginalized for their cannabis use, despite legalization,” said Martinez. Leia Flynn is a legal assistant at a firm that works with cannabis businesses and the owner of Flight Lounge, a members-only private cafe allowed under the City of Portland’s social consumption guidelines. A former medical cannabis caregiver and member of Oregon Green Free, she has put her voice out into the public in order to create safe spaces for cannabis consumers. Angela Bacca is a Portland-based writer and editor who has been covering the national cannabis industry for over 10 years. Having witnessed the early days of medical cannabis caregiving in California as a patient living with Crohn’s Disease, Bacca feels it is imperative to protect patients’ rights to botanical medicine. “I would sum up our policy as ‘do the right thing’. Let’s create legal cannabis policy that acknowledges both science and reality,” Bacca says. Legalization was sold to Oregon citizens as a way to grow, develop and sustain our small business economies, end the discrimination of citizens based on their interactions with the cannabis plant and uphold, protect and ensure the right of medical cannabis patients to safe botanical access. Therefore, the Legalization Justice Act of 2020 would make the following changes to Oregon law. Tax Revenues: Redistribute recreational cannabis taxes in a way that promotes the social justice goals of cannabis legalization. Once passed, the LJA would designate 25 percent of tax revenues to funding community development and micro-lending initiatives that promote small businesses in minority and underserved communities disproportionately affected by the failed War on Drugs. An additional 25 percent would be designated to subsidize medical cannabis purchases for low-income patients with qualifying conditions under the OMMP who have lost their access to direct caregiving from growers. The remaining 50 percent can continue to be used at the state’s discretion. Changes to Oregon Medical Marijuana Program: Recognizing that cannabis as a botanical substance is recommended, not prescribed, a patient’s right to choose botanical cannabis in their medical care in consultation with a doctor must not be impeded. Patients with incurable or chronic illnesses must be allowed by the Oregon Medical Marijuana Program to be issued a lifetime card if a qualifying physician recommends their cannabis use. Patients awaiting an organ donation cannot be removed from a transplant waiting list for using cannabis. The JA expands qualifying physicians under the OMMP to naturopaths, physician’s assistants and nurse practitioners. Producers of recreational or medical cannabis may enter into caregiving relationships with qualifying patients and provide medicine directly. The value of the product can be deducted from state cannabis excise taxes if the patient qualifies for low-income subsidization. Social Consumption Spaces: Legalize and regulate cannabis social consumption cafes in a fashion that removes the discriminatory provision under the Oregon Indoor Clean Air Act so that cannabis users can inhale inside. This section does the following (1) The Oregon Indoor Clean Air Act must be amended to allow smoking and vaporization of cannabis indoors. (2) Directs the OLCC to regulate and oversee the licensing and regulation of cannabis lounges. (3) Allows existing cannabis dispensaries to add a social consumption space. (4) Allows for OLCC licensed farms to host tours and tastings, as regulated by the OLCC. (5) Directs the OLCC to license and regulate cannabis social consumption spaces at public events. Allows delivery of cannabis to temporary residents and residents of municipalities that have banned cannabis dispensing storefronts. Employment Protection: Create employment protections under the law to protect off-the-job cannabis use and prevent conceptually flawed drug testing from being used to discriminate against cannabis consumers. Protect Oregon’s Craft Cannabis Community: Direct the state to directly advocate to the federal government for its craft cannabis community, specifically export of product out of Oregon’s borders. For more information, follow Oregon NORML on Twitter. In the Texas State Capitol Building, dozens of patients joined us to ask their legislators to coauthor legislation that makes the Texas Compassionate Use Program more inclusive and effective. HB 1365 (authored by Rep Lucio, III) and SB90 (authored by Sen Menendez) would allow patients with debilitating conditions access to medical cannabis to therapeutically treat the symptoms of their condition. Ask your legislators to coauthor HB 1365 and SB 90 now! Patients met up to learn from our briefing about how the legislative process works, a review of our priority legislation, and an overview of messaging and crafting testimony. Patients then broke out into groups by district and went to visit their legislative offices. Many patients also stayed to register their support of HB 63, which would reduce possession of one ounce to a small, civil fine. We will be posting live updates from the HB 63: Civil Penalty hearing today. Stay tuned to watch the hearing. We will also keep you posted on the progress of these medical bills. View pictures from the event! Marijuana policy should be evidence based. Help dispel the myths with NORML’s Fact Sheets!For more information follow Texas NORML on Facebook, Twitter, and visit their website!